Create and update records. Add lookup fields. 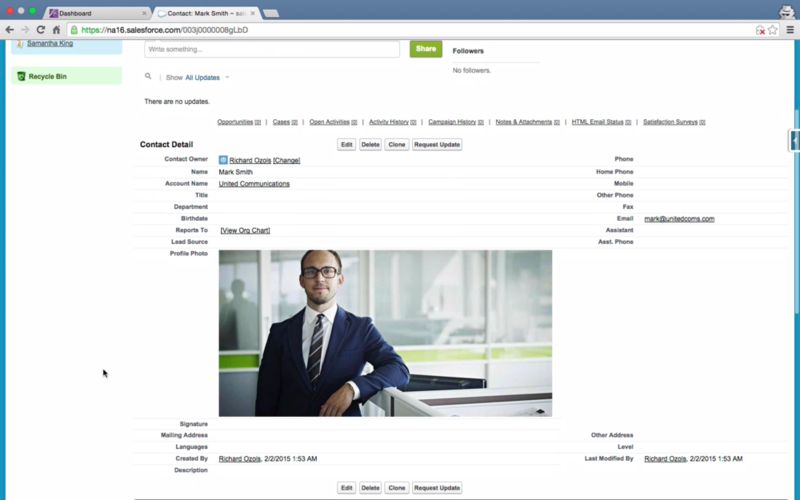 Create linked records and use on Salesforce1. 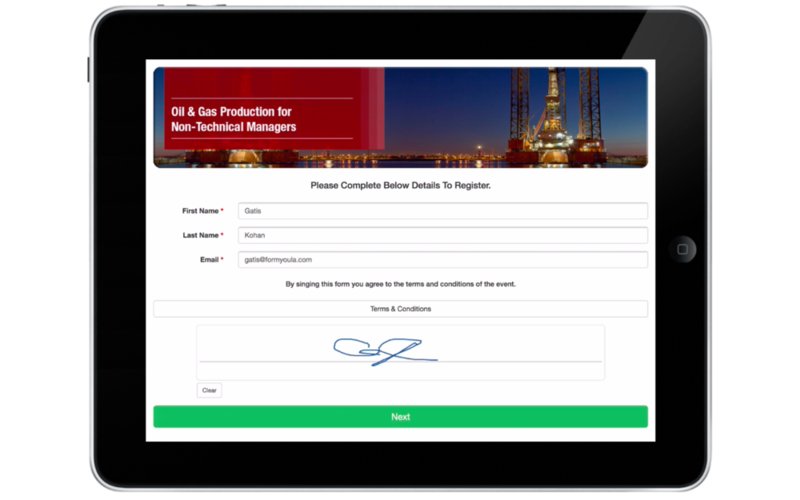 Include Photos, Signatures and Sketches in your data capture without needing to switch applications. Automatically tag the location where the form was submitted and map to Salesforce GEO fields. The application does not require cellular coverage to operate and is fully functional offline. Start collecting data offline and creating records on Salesforce within minutes of signing up. Add logos, banners, text & background colour. 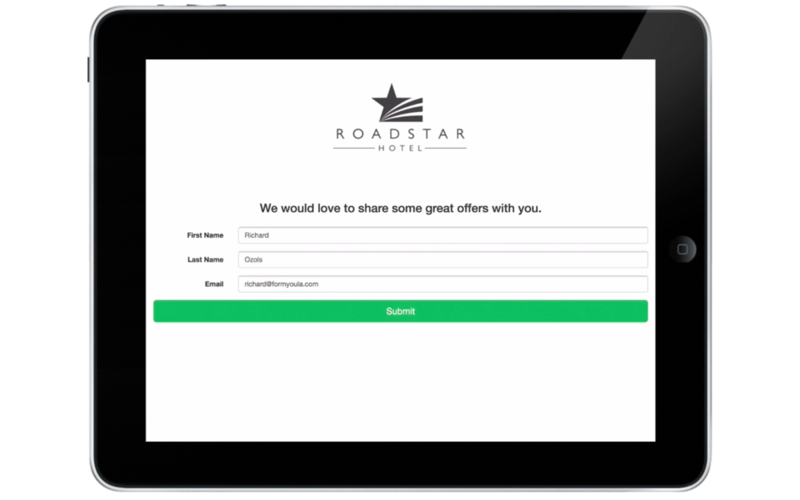 Create forms for Mobile devices or kiosk stands. 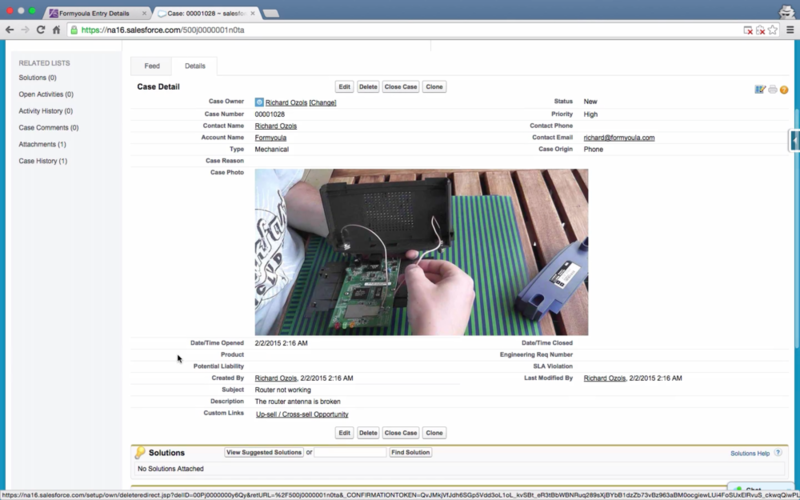 Deploy on iPad's, iPhone's, Android's, Mac and Windows based devices to capture data offline. 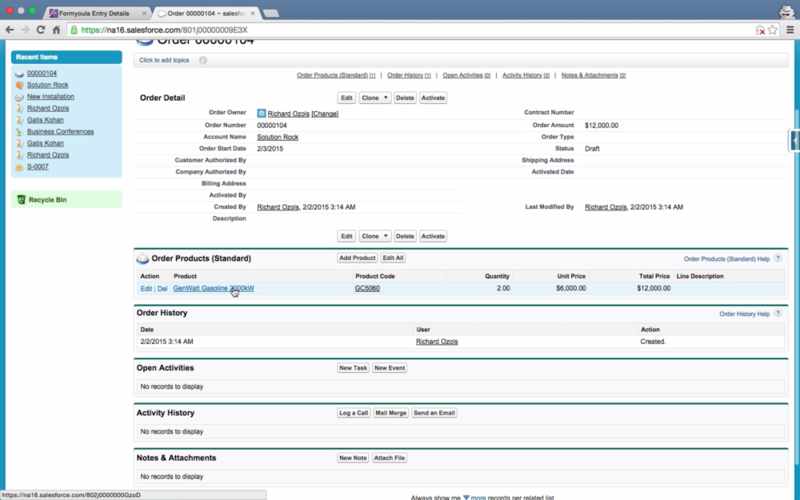 Create multiple related Salesforce records and integrate with Salesforce standard workflows. 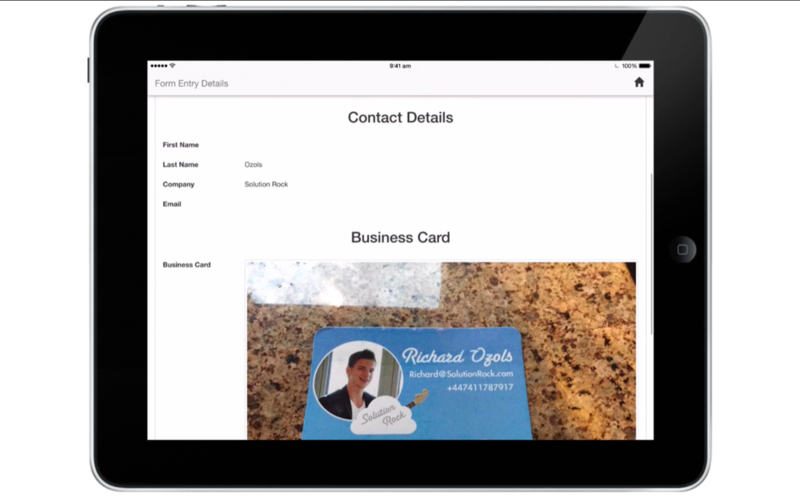 Use Formyoula mobile forms to update records on Salesforce and autocomplete your forms with existing information. Create any number of associated child records. Use Formyoula mobile forms to capture new leads and contacts during events, exhibitions and trade shows, even if your mobile device is not connected to the internet. All devices and platforms are supported. Use Formyoula mobile forms to capture new cases on the go. Allow your field workers and support staff to do their job not worrying about internet connectivity or device compatibility. Use Formyoula mobile forms to capture customer satisfaction right at your business and understand how satisfied your customers really are. Suitable for customer self service and anonymous feedback. Use Formyoula mobile forms to connect your events and Salesforce in minutes. Keep track of in person campaigns and events like never before. 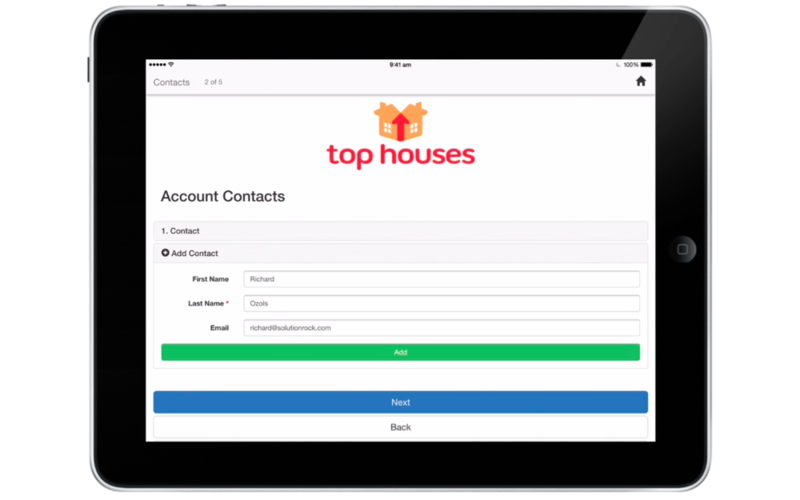 Use Formyoula mobile forms to capture complex related data and create any number of records and relations on Salesforce. Works with custom and standard Salesforce workflows. Use Formyoula Files to allow Formyoula Salesforce and non-Salesforce users to submit images, signatures, and other files into Salesforce as Chatter files, attachments, and documents. 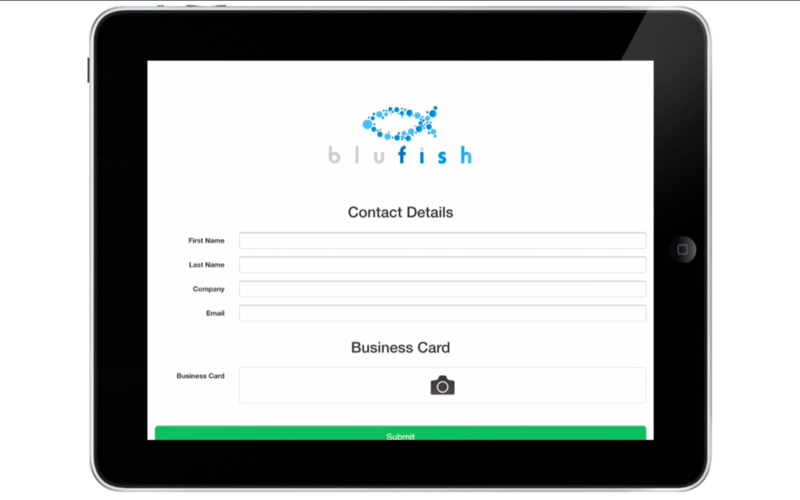 On a Friday morning, I was told that I had to deploy an offline capable iPad form for an event the next day. We would be capturing over 200 leads and did not want to use pen and paper. After looking at iForms and realizing that I’d still have to sync the data manually into salesforce, I decided to try formyoula. 30 minutes after signing up, I had my first form built and was pushing data from my iPad directly into a custom object on salesforce.com. Average Customer Review - click here to see all the reviews. Yes, the iOS and Android apps don’t require cellular coverage to operate and are fully functional offline. You’ll store your data inputs on your device and submit the data to your Salesforce account when you connect to the internet. Do you support web/online forms? We specialise in offline data capture, so each user will need to have an account with us to capture form entries on our mobile applications. Do all user need a Salesforce licence? No. Formyoula mobile forms work independently ( Non-Salesforce and Salesforce users) and with any Salesforce licence including partner licences. If during your first month you're not entirely satisfied, we'll issue you a full refund. How do I pay for Mobile Forms? We accept all major credit cards including Visa, MasterCard and American Express for payment. For large volume subscriptions we support alternative methods as well. How much does Formyoula cost? Formyoula is USD 8.00 per user per month billed annually or USD 9.00 per user per month billed monthly. This includes all the features and future updates. Deploying for a large user base? Discounts are available - please email sales@formyoula.com for a tailored quotation. We have pricing just for you. Please contact us at sales@formyoula.com. We support all major mobile platforms, including Apple, Android and Windows based devices. Please search for Formyoula on the your AppStore or PlayStore. You can visit our support site support.formyoula.com to find text and video guides that will help you to get started. Or email support@formyoula.com and we will be happy to help. Have more questions? Please see our full FAQ site.